If you are trying to get into stock photography you probably have some hard time getting accepted as a contributor by stock sites or getting your photos not rejected and listed for sale. The bigger sites already have a large base of contributors with even larger selection of pictures. Most of them have implemented entry tests requiring new members to send a certain number of photos for preview and approval before accepting them as contributors. This approach has its merits but can be frustrating for the aspiring stock photographer who can't boast a big enough pre-existing portfolio. First, there is no initial approval required. New members can upload pictures immediately after registration. In a somewhat unique fashion amongst stock sites, newly uploaded images are instantly listed for sale with a limited editorial license. The license is extended to full commercial use once the image has been previewed for conformity with rules, etc. by the site staff, which happens quite fast. The relatively smaller database of the site as compared to the bigger players suggests less crowded categories and easier approval of individual images. This obviously doesn't mean that a disastrous image will be accepted and striving for quality never hurts. But a lot more images will be accepted even if other sites refuse them. A major plus is the flat royalty rate. Most sites pay higher percentage after you get to a certain amount of sales. Or if you grant them exclusive rights over your images; that is, not sell them on other stock sites. It's different at The3dStudio. You not only get 60% royalty no matter how much you sell. But you can also instantly enter the loyalty program and increase that to 70%. The loyalty program only requires you to leave your images uploaded there for 5 years with no exclusivity required whatsoever. As far as I am aware, this is probably the highest royalty rate on a stock photography site. The site allows you to set your own prices (above a predefined minimum), so you can list a higher price for a work you consider outstanding. There is a clean, straightforward and no-nonsense user interface. No endless forms and whatnot. As an added bonus, if you happen to shoot or draw textures, they will be immediately exposed to lots of potential buyers, considering the site is used by modellers to sell their 3d models. Going exclusive makes zero sense when you are starting up, and besides, The3dStudio does not require or encourage exclusivity, so you should try to get your images listed on other sites as well. Two other beginner friendly sites with no entry test are Dreamstime (it does require submitting some sort of id scan/picture in order to be able to list your files, though) and Fotolia. Note that it will be harder to get individual images approved at these two, and especially at Fotolia, but one should nevertheless try them out and work towards expanding to even more sites after building a decent portfolio of stock images. Stock photography is a long term investment and not a way to make some fast cash. Be patient and keep adding images. Good luck. Explore the Review Maze to find other service reviews. 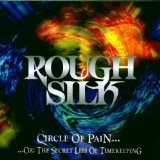 Rough Silk is a very melodic heavy metal band from Germany. It has been a favorite band of ours for quite a long time and having in mind that it is undeservedly unknown especially compared to many others not so gifted and unique competitors, we decided to write a few words about it. Rough Silk present a very unique sound by playing heavy metal with a variety of melodic parts. One could describe the band as a heavier version of Queen - it is easily recognizable, yet it has a pretty varied catalogue of songs. It's a band with a rare name that completely suits its style. Rough Silk has been founded in 1989 by Ferdy Doernberg, a skilful keyboard and guitar player who has played or still plays (on stage or in studio) with many famous musicians including Axel Rudi Pell, Uli John Roth, Destruction, Gamma Ray, Jeff Scott Soto, etc. Since 1989 the band has changed several line-ups (with Doernberg being its only constant member) and it has released 8 studio albums of original material. Rough Silk's founding members apart from Ferdy Doernberg playing keyboards, slide-guitars and vocals were Jan Barnett (lead vocals and guitars), Hilmer Staake (guitars), Ralf Schwertner (bass and vocals) and Herbert Hartmann (drums and vocals). During the years, the band built up some reputation touring a lot and supporting rock acts like Deep Purple, Whitesnake, DIO, Helloween, Accept, Savatage, Saxon and some others. The band first two albums were Roots of Hate and Walls of Never issued in 1993 and 1994 respectively. While being quite a good heavy metal records on their own, they still were not displaying the band's full potential. After their release, the line-up changes started and there were not 2 consecutive albums with a same line-up anymore. The subsequent 2 efforts Circle Of Pain... ...Or: The Secret Lies of Timekeeping and Mephisto brought Rough Silk to a new quality level with each of them presenting a different face of the band. While Circle of Pain released in 1996 showed their masterful melodic side with a variety of memorable songs, Mephisto released in 1997 displayed the band's more experimental side. Both albums contained a number of well-crafted songs and gained new followers of the band. About this time, the band had its first European tour with Savatage. The next album Beyond the Sundown was recorded and released in 1998 with a new lead singer after Jan Barnett left the band and was substituted with Thomas Ludolphy. The album continued to be somehow experimental in the vein of Mephisto and also included some nice melodic (and slow) tracks. Their first (and currently last) "Best Of" album followed in 1999. It was titled Wheels of Time and comprised of 2 discs containing the majority although not all of their most appealing songs. The 6th studio album Symphony of Life was released in 2001 and its musical content was closer to Circle of Pain than to the last 2 more experimental efforts. It was more in the vicinity of the classic heavy metal and it included a guest appearance on the song "Lucifer" by Jon Oliva from Savatage who also co-produced the album. Rough Silk supported Savatage again in Europe upon their special request. After playing for several years on numerous studio records and live shows of various performers as well as continuing his long-term participation in Axel Rudi Pell's band, Ferdy Doernberg started to look for new musicians in order to create a new metal outfit. He teamed up with Mike Mandel (guitars), André Hort (bass) and Alex Wenn (drums) and as you might guess the new band was called Rough Silk. But this said, the succeeding album was titled A New Beginning, an appropriate title for the new reincarnation. Search for other music reviews in the Review Maze. If John Lennon was alive, he would become 70 years old today. Unfortunately, he had only 40 years to live but what an extraordinary life it was. You can hardly find many people having more sterling lives and achieving so much as John Lennon did. He was a very bright star for the half part of his existence and he continues to be so bright even 30 years after his death. To show that he really had an exceptional life, let's write about some of its most prominent aspects. Undoubtedly, if we should point just one thing about John Lennon, it would be his participation in the Beatles. He was the founder and together with Paul McCartney one of the two most important members of the band. How immensely crucial were the Beatles for the development and success of pop and rock music has been constantly discussed by analysts for several decades already and you may also read about the greatest achievements of the Beatles by following the link, but in brief: the Beatles were responsible for establishing the pattern of self-contained rock band (writing their own songs); transforming the rock music into an international phenomenon; introducing many technical innovations in the studio recording; experimenting in new musical directions and making new pop and rock styles popular; and as a result of everything becoming the most successful pop/rock band ever while simultaneously gaining the all-time biggest sales numbers and universal critical acclaim. If John Lennon was not there, all of that fascinating story would not happen. The Beatles broke up before John Lennon had even turned 30 years in 1970. After their split, John was arguably the most critically respected member although not as productive as, e.g., Paul McCartney. John created a good portion of famous and well-crafted songs during his solo career, some of them becoming eternal anthems of peace, love or personality. John Lennon was an activist of the peace movement and used his celebrity status together with his wife Yoko Ono to promote peace messages to broad audiences. Instead of using a standard intellectual approach and writing manifestos or articles on the subject, he used his honeymoon to talk about peace while staying in bed with his wife. He used his sense of humor to attract more people to anti-war ideas. He wrote lyrics on peace themes. Imagine, Give Peace a Chance, etc. are still songs remembered by millions of people. Happy Xmas (war Is Over) sends an anti-war message while at the same time remains as one of the best Christmas songs ever. Besides being a peace activist, John Lennon issued one of the most personal albums Plastic Ono Band that reached such a broad audience. It is often voted in different polls to be amongst the best albums of all time. 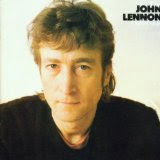 While being not commercial at all, the album reached many people due to Lennon's celebrity status and showed some of the most personal messages John had shared with us throughout his fruitful career. He sang about Mother, Isolation, God and Love along very touching lyrics and simple but memorable melodies. He continued his strong works with the album Imagine, which while not being such a personal effort, still contained some of his greatest songs, e.g., the title track or Jealous Guy. For the exceptional presence of John Lennon could be also judged by Paul McCartney's respect concerning John. Although being often blamed for the ending of the Beatles (which is not very precise) by many people including Lennon, Paul has been always sympathetic to John showing his respect in various songs or interviews. But how could you not like the man singing "Life is what happens to you while you're busy making other plans". Paul even sang John's song Beautiful Boy (Darling Boy) containing that famous quote on an occasion to show his esteem for John Lennon. At the end, we must point that even John Lennon's death has been extraordinary in terms that not everyone dies by murder. Sure, it was quite ironic, the person that was fighting against killing people to be killed. Life is often unfair to its greatest men. But fortunately, people remember geniuses long after their death. To read another rock music article explore the Review Maze. I've recently come upon FansEdge.com - one of the online sports shops, offering thousands of products related to the sports memorabilia industry. I don't know if it is the largest amongst the sporting goods stores but it offers a lot of sports products - NFL jerseys, NBA jerseys, MLB and NHL jerseys, sports apparel, hats, jackets, jewelry, watches, etc. There are all kinds of accessories and sports merchandise. I've been quite interested what are the comments about FansEdge online sports store so I've made some research on the Net and from the reviews and people opinions I've read it seems that FansEdge.com is a pretty decent sporting goods store. Yet, I've found some criticism about it. There are some complaints that it is not possible to change your order after you've made it and also that sometimes sold out products are not marked properly and it's possible to order them. Apart from that, it seems that people are quite happy with FansEdge's sports products and shipping times. One thing that I like about FansEdge is that it consolidates several sports shops in one place. These include NFL shop, NBA store, MLB shop, NHL shop, NASCAR store, soccer, golf, tennis and other sports memorabilia products. There is merchandise for several hundred teams and more than a thousand of players. There are all kinds of sports apparel - jerseys, sweatshirts, hoodies, jackets, polos, gloves, hats, etc. There are sales with huge discounts, up to 75%, on all of the sporting goods and sports memorabilia. And there is a possibility to buy a gift certificate for someone you want to surprise. The delivery times are short and people at FansEdge.com claim to ship on the same day. There is also an international shipping possibility and although it does not cover all of the countries worldwide, it's still a good option that is not offered at many other online sporting goods stores. The site provides also size charts so it could be easier for us to make the correct choice. In case something with the products is not as expected, I've read on several places on the Web that the returns are really no hassle ones, exactly as advertised on FansEdge's website. The site also offers several Facebook extras like exclusive coupons or some possibilities to win a gift certificate if you like them on Facebook. While this is a standard advertising trick and thus not so interesting, a better section on the site is the one that shows you the most popular searches. You are able to see that NHL Shop or NFL Store are among these searches or that Lebron James Jerseys, Carlos Boozer Jerseys or NFL Jackets are very popular so if you are a more eccentric person and you want to be more original in your sports apparel you should look for some other product. The good news is that there are so many sporting goods and sports memorabilia at FansEdge that most probably you will not be disappointed. If you don't have a favorite NFL shop, MLB shop, NHL shop or NBA store but you are in love with some of these sports, give FansEdge a try. The prices are competitive and the variety of sporting goods is really outstanding. Wanting to provide as accurate information as possible, I've made some further searches and it seems although the majority of FansEdge customers are really happy there are still some 5-10% that are not so pleased and complaining mainly about FansEdge.com customer service. It's not a big percentage but still I want to point it out in order to be precise. For other product reviews explore the Review Maze. Led Zeppelin is a band with tons of writings about it. You can read about their history, discography, band members' personal biographies, etc. on variety of places, both online and offline. Still, we want to publish something about the legend on our site, that's why we will make 5 short lists with 5 interesting facts each about Led Zeppelin and its famous members - Jimmy Page, Robert Plant, John Paul Jones and John Bonham. - The boys from the band became friends with Elvis Presley in the 70s. They attended not less than 2 Elvis' shows and they met with him on numerous other occasions also. - The band's last album released before the death of John Bonham In Through the Out Door was recorded in Polar Studios owned by ABBA. 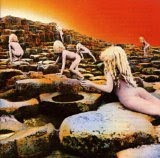 - Led Zeppelin's longest studio track is In My Time of Dying. They have also a lot of other songs longer than the long Stairway to Heaven. Some of them are Achilles Last Stand, Tea for One, Carouselambra. - The first album released on Led Zeppelin's Swan Song label was Bad Company - the debut album of Paul Rodgers' band Bad Company. - Jimmy Page left his first rock band Neil Christian & the Crusaders in 1963 because due to poor travelling conditions and Page's weak organism, he thought he was not suitable for touring. He switched to the less exciting session work in the recording studio for the next several years before hitting the road again. - Jimmy Page known with his skills in the studio, invented the Reverse Echo sound effect. - Not only Bonham had a nickname in Led Zeppelin. Jimmy Page also had one and it was Led Wallet. Page was legendarily tight-fisted. - Jimmy Page owns much of the property around the famous Loch Ness in Scotland, UK. - Jimmy Page stated that Bert Jansch was his all-time favourite guitar player. Bert Jansch is famous for playing acoustic guitar with virtuosity and being one of the British folk's most influential figures in the 20th century. It's often considered Led Zeppelin's song Black Mountain Side is a Bert Jansch rip-off. - Robert Plant was the only Led Zeppelin band's member with a name not starting with the letter 'J'. - Led Zeppelin's song All of My Life was dedicated to Robert Plant's late son Karac. - Robert Plant was in a wheel chair during the recording of Presence. - The song Kashmir was influenced by Plant's travels in Morocco. - Apart from his lead singer role, Robert Plant often played harmonica for Led Zeppelin. - Bonzo was not the only nickname John Bonham had. He was also known as The Beast at the time he was drinking. - John Bonham left a well-paid touring job with Tim Rose in order to join and play for Led Zeppelin. - John Bonham began his learning to play drums when he was five years old, using a drum kit made just out of containers and coffee tins. - Jimi Hendrix once said that if Bonham was ever going to leave Led Zeppelin he would take him in his own band even if he had to play with two drummers. - John Bonham never took any formal drum lessons. - Jones asked Jimmy Page to join Led Zeppelin after playing with him on various session recordings in the past. - John Paul Jones singed Sandy Denny's part of The Battle of Evermore when the song was played live. - John Paul Jones played the wind instrument in the beginning of Stairway to Heaven. It is a recorder and it has been often incorrectly identified as mellotron. - Jones was not part of Robert Plant and Jimmy Page tour in 1998. The role of bass player was given to Plant's son-in-law. - John Paul Jones has been often referred as one of the most underrated musicians in the rock music history. Yet, this is quite a recognition on its own. Explore the Review Maze for other rock music reviews and articles.